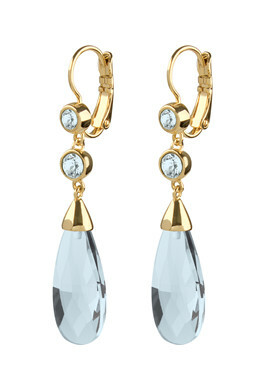 Elongated evening earring, featuring tiny small crystals from Swarovski and a dramatic crystal drop pendant. French hook. Gold tone finish and light blue crystals shown here.